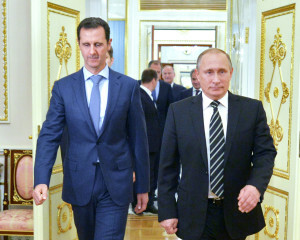 Russian President Vladimir Putin (R) and Syrian President Bashar al-Assad entering a hall during their meeting at the Kremlin in Moscow, Russia, 20 October 2015. Chairman of Soros Fund Management and of the Open Society Institute. The leaders of the United States and the European Union are making a grievous error in thinking that President Vladimir Putin’s Russia is a potential ally in the fight against the Islamic State. The evidence contradicts them. Putin’s current aim is to foster the EU’s disintegration, and the best way to do so is to flood the EU with Syrian refugees. The families on the move may not stop in Turkey. German Chancellor Angela Merkel flew to Ankara on February 9 to make last-minute arrangements with the Turkish government to induce the refugees already in Turkey to prolong their stay there. She offered to airlift 200,000-300,000 Syrian refugees annually directly to Europe on the condition that Turkey prevent them from going to Greece and will accept them back if they do so. 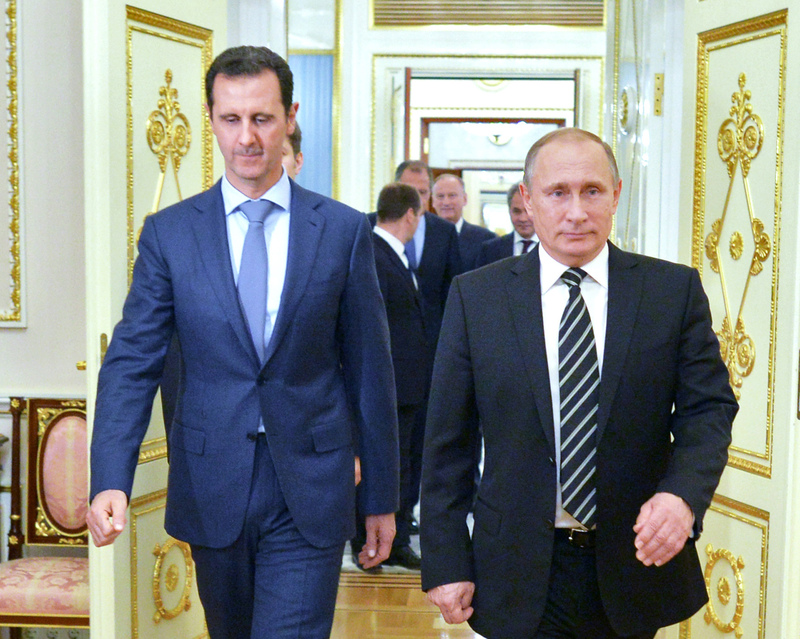 Putin is a gifted tactician, but not a strategic thinker. There is no reason to believe that he intervened in Syria in order to aggravate the European refugee crisis. Indeed, his intervention was a strategic blunder, because it embroiled him in a conflict with Turkish President Recep Tayyip Erdoğan that has hurt the interests of both. But once Putin saw the opportunity to hasten the EU’s disintegration, he seized it. He has obfuscated his actions by talking of cooperating against a common enemy, ISIS. He has followed a similar approach in Ukraine, signing the Minsk Agreement but failing to carry out its provisions. It is hard to understand why the leaders of both the US and the EU take Putin at his word rather than judging him by his behavior. The only explanation I can find is that democratic politicians seek to reassure their publics by painting a more favorable picture than reality justifies. The fact is that Putin’s Russia and the EU are engaged in a race against time: The question is which one will collapse first. The Putin regime faces bankruptcy in 2017, when a large part of its foreign debt matures, and political turmoil may erupt sooner than that. Putin’s popularity, which remains high, rests on a social compact requiring the government to deliver financial stability and a slowly but steadily rising standard of living. Western sanctions, coupled with the sharp decline in the price of oil, will force the regime to fail on both counts. Russia’s budget deficit is running at 7% of GDP, and the government will have to cut it to 3% in order to prevent inflation from spiraling out of control. Russia’s social security fund is running out of money and has to be merged with the government’s infrastructure fund in order to be replenished. These and other developments will have a negative effect on living standards and opinions of the electorate before the parliamentary election in the fall. The most effective way that Putin’s regime can avoid collapse is by causing the EU to collapse sooner. An EU that is coming apart at the seams will not be able to maintain the sanctions it imposed on Russia following its incursion into Ukraine. On the contrary, Putin will be able to gain considerable economic benefits from dividing Europe and exploiting the connections with commercial interests and anti-European parties that he has carefully cultivated. As matters stand, the EU is set to disintegrate. Ever since the financial crisis of 2008 and the subsequent rescue packages for Greece, the EU has learned how to muddle through one crisis after another. But today it is confronted by five or six crises at the same time, which may prove to be too much. As Merkel correctly foresaw, the migration crisis has the potential to destroy the EU. When a state or association of states is in mortal danger, it is better for its leaders to confront harsh reality than to ignore it. The race for survival pits the EU against Putin’s Russia. ISIS poses a threat to both, but it should not be over-estimated. Attacks mounted by jihadi terrorists, however terrifying, do not compare with the threat emanating from Russia. ISIS (and Al Qaeda before it) has recognized the Achilles’ heel of Western civilization – the fear of death – and learned how to exploit it. By arousing latent Islamophobia in the West and inducing both publics and governments to treat Muslims with suspicion, they hope to convince young Muslims that there is no alternative to terrorism. Once this strategy is understood, there is a simple antidote: Refuse to behave the way your enemies want you to. The threat emanating from Putin’s Russia will be difficult to counter. Failure to recognize it will make the task even more difficult.